Founded in 1861, the Buffalo Society of Natural Sciences has a longstanding tradition of providing authentic science learning opportunities to residents of the Western New York community. The Society, which operates both the Buffalo Museum of Science (BMS) and Tifft Nature Preserve, is one of the oldest and most respected cultural institutions in Western New York. The Buffalo Museum of Science and Tifft Nature Preserve welcomes thousands of visitors and program participants annually, offering a myriad of science-based exhibits, programs, and events that are interactive, educational, and fun for everyone. With the mission statement, Inspiring curiosity through exploration, the museum is dedicated to educating the public about science and sparking the imagination of millions of children and adults. The only accredited science museum within an hour’s drive of Western New York, we support and grow a community of lifelong learners by showcasing an expansive collection of over 700,000 specimens and artifacts through exhibits, hands-on education programs, and research. 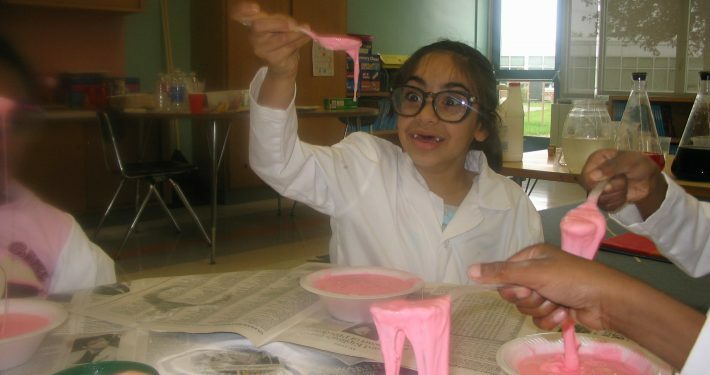 Holding one of the longest-standing partnerships with a public institution of learning, the Buffalo Museum of Science (BMS) in New York State, United States, is in a unique position to address the SDG 4 in numerous ways while working with the Buffalo Public Schools (BPS). The BPS have had limited success in addressing graduation rates, career and college readiness, and daily attendance. Specifically, BPS #59, the Charles R. Drew Science Magnet School is attached to the museum. Posting consistent low achievement results in graduation, student success and advancement, and attendance, BPS #59 has performed in the bottom half of school rankings for several years in a row. The hard numbers: just 7% of students achieved proficiency in English/language arts (ELA) assessments and just 5% of students scored proficient in math assessments in 2015. These numbers indicate a strong reason for the BMS to help our neighbor achieve greater results. How can we help? The BMS is currently working with BPS#59 to co-facilitate weekly science, technology, engineering, and math (STEM) lessons in all grades, K-8. These lessons are designed to address achievement in ELA and math by using science as the hook. These weekly sessions started in September 2016 and will continue through the entire 2016-2017 school year. The goal is to provide informal educational supports that keep students engaged and participating in cross-curricular STEM activities that promote critical thinking, team work, and success. As part of this yearlong plan, the BMS is positioning itself to be more engaged with the families of BPS #59 by hosting quarterly Family Fun Nights and supporting a holistic approach to engaging students in their learning. These Family Fun Nights are designed to make STEM learning fun, nontraditional, interesting, and captivating for every family member. The first Family Fun Night of the 2016-2017 school year is being held in conjunction with Science Center & Science Museum World Science Day for Peace and Development on November 10, 2016. We will be hosting approximately 150 students and family members as well as about 30 of their teachers and their families. Visitors will be participating in activities centered on a variety of STEM topics ranging from building remote controlled cars to air pressure dynamics and electronics recycling. As well, families will have access to all of the museum’s resources including all exhibit spaces. From the start, the ISCSMD has connected with the objectives of the triennial Science Centre World Summit because of its emphasis on the UN SDGs. The last summit took place in November 2017 in Tokyo and formalized the global commitment of the science center field to the achievement of the SDGs and to the ISCSMD as one of the instruments to do so, as explicitly expressed in the adopted Tokyo Protocol. Click here to read the full text.